Want to save your roof from harsh weather? We have got you covered! Severe weather conditions can harm your roof – this fact is not unheard of. It is indeed difficult to imagine the negative impact and the damage that can be done to the building and its occupants due to bad weather. So, it is essential to raise awareness among the commercial building owners as well as the homeowners. This article discusses the ways in which you can fix all kinds of roofing problems associated with bad weather. Strong winds accompanying storms can be a havoc for your roofs. If this happens, it is better if you immediately take the help of the best roofing contractors in Dallas tx. Dallas Tx Roofing Pro will immediately locate the damaged area and replace or repair your roofs. We are the experts in roof replacement and repair and make use of the latest technology in every project. No matter you are looking for timely repairs and maintenance or cost-effective roof installation for a newly constructed building, we are the best roofing contractors in Dallas, Tx. Be it rain or heat, it can gradually deteriorate your roof. Quick detection is very important. Look for water stains in your walls and hire a leak repair contractor. Do not wait till it’s too late and opt for an early measure. Get in touch with DallasTxRoofingPro and go for an easy fix. 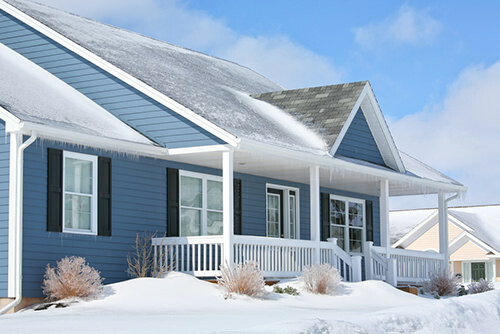 Similarly, in case of a snow, if there is no insulation in your roofing system, ice dams can be formed. Roofing contractors are the best people that can help you in removing snow. Needless to say, same is the case with hailstorms as well. Hailstorms have a huge impact on roofs and can cause a lot of damage. No matter what kind of roofing you have, it is advisable to take the help of roofing contractors. Plan for the worst and make sure things are buttoned up. Inspect your roof after a severe storm and keep a checklist that indicates symptoms of roofing damage. Clear all gutters, remove all debris from the rooftop and keep all branches away from your roof. In case you need more help, we are always here at your service. We cater to your needs and ensure timely completion of your contracts. You can simply schedule a free roof inspection and rest totally assured of a smooth service at the most affordable rates.